A Port styled wine made from a blend but mostly Merlot. Purple in color. The nose has cherry liqueur, chocolate and slight raisin. Full bodied. Slightly sweet. Raisins, chocolate and cherries. Relatively simple and not a lot of depth. Worked well as a desert wine and would match a more savory dessert. This is a blend of 97.5% Cabernet Sauvignon and 2.5% Petit Verdot from Heidi Barrett. Purple in color, ruby at the rim. The nose has cassis, slight smoke, bell pepper and tobacco. On the palate, this is nice and everything is in proportion. Not a lot of depth. Tannins mostly resolved. Worked well with vegetarian stuffed mushrooms. 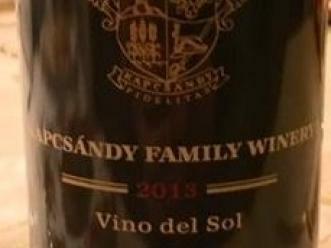 A fine wine but its price tag on release was $250. Granted 2011 was a difficult vintage, but that is a lot of money for this wine. Sadly, this bottle did not hold up. At 34 years from vintage, it would have been nice, but the odds were against it. The bottle was oxidized. Likely culprit, was cork failure. From Magnum. This has held up nicely and is drinking well. Like and older Bordeaux. Ruby in color, slight bricking at the rim. The nose is nice with cassis and cherries along with some tobacco and dust. On the palate, this has layers of fruit and earthy forest floor. Good balance. This seems very food friendly. Probably a bit past prime at this point, but still with lots to offer. This continues to improve. Inky purple in color. The nose has black raspberries, white pepper and grilled meats. On the palate, this has a nice juicy acidity. Medium tannins. Black raspberries layered with char and earth. Good finish. No hint of alcohol or heat. Needs bigger and/or spicy foods. This wine still needs about five years to peak. Then should be good for another 15 after that. Very concentrated. This is from Bill Harlan. At age 15, this wine seems to be at peak and is singing. Purple in color. The nose has cassis, slight smoke, slight vanilla and slight cigar. On the palate, this has a nice silky texture. Slight wispy tannins. Lots of cassis fruit. Plenty of depth and tight layering that unwinds in the glass. This drinks like a almost mature Bordeaux wine. Will work with meats and heartier foods.